Heavy rains and storms have been in no short supply this summer and as if that weren’t enough, hurricane season is in full swing! With all of the changing weather patterns and severe conditions out there, you’re probably looking to find a fence that can withstand just about anything. If you are, than look no further! Freedom Fence and Home is here to tell you why an aluminum fence is the perfect all-weather choice for you. Why Should I Choose Aluminum Fencing? 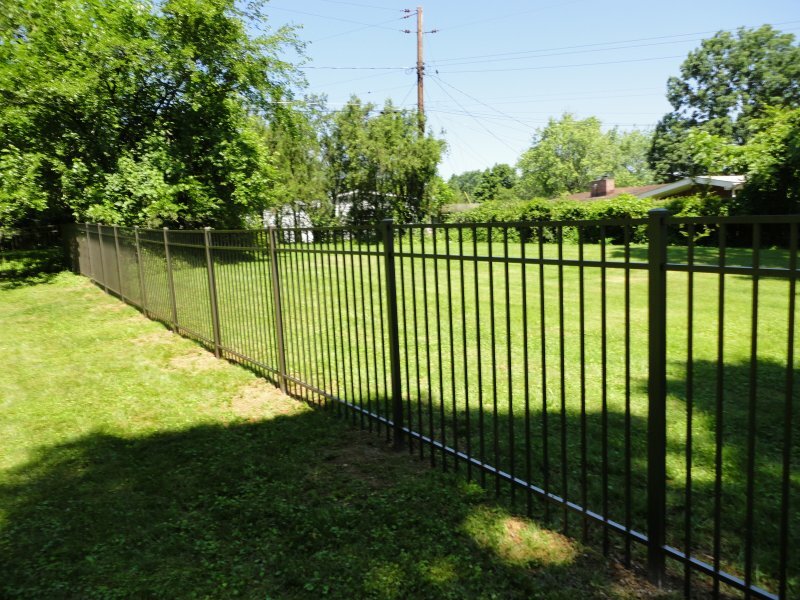 Aluminum fencing is uniquely equipped to withstand different weather conditions. Unlike a wood fence, which would need to be specially treated to prevent water damage, an aluminum fence will not rot, warp, or develop mold, no matter how long it is exposed to the elements. Aluminum fencing is finished with a specialized powder that keeps out water and moisture, meaning that your fence will stay in top-notch shape for years to come. Unlike a wrought iron fence, which aluminum fences most closely resemble in style and color, aluminum will not rust, and requires little to no maintenance to keep it looking like new. Aluminum has even more advantages than its durability that you should consider when selecting a fencing material. Aluminum is one of the most affordable fencing materials; being as lightweight as it is, installation costs are often kept very low. You will also save on overall maintenance, and because aluminum fencing is so durable, you will not have to worry about the cost of replacing it for years to come. Custom-designed aluminum fencing is increasingly popular amongst homeowners as it mimics the look of classic wrought-iron but is infinitely more practical and easy to take care of. Call the fencing experts at Freedom Fence and Home to talk more about the advantages of an aluminum fence and start planning your installation project today! With 40 years of experience behind us, Freedom Fence and Home provides the highest quality aluminum fencing installation in the area. Our fencing experts are always on-hand to offer you the best advice on selecting fence designs and materials that are right for your home. We are licensed and insured in the state of Maryland. If you have any questions about the benefits of Aluminum Fencing for your home, please contact Freedom Fence and Home by calling 443-271-6841 or visit our website. You can also follow us on Facebook and Twitter! This entry was posted on Friday, August 15th, 2014	at 1:10 pm	. Both comments and pings are currently closed.